Does COMP Cams 7154-16 fit your vehicle? 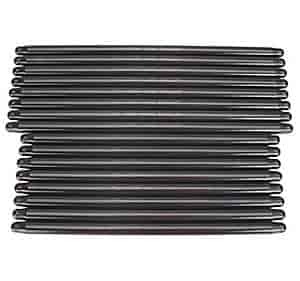 7154-16 - Comp Cams Magnum Pushrods is rated 4.7 out of 5 by 3. Rated 5 out of 5 by PE 6 from Quality counts I purchased Comp Cams push rods because of their quality. I expect to get years of use with these push rods. Rated 5 out of 5 by Eazyer from These are nice! Bought these to replace the original. They are perfect and work well with my new cam! Rated 4 out of 5 by Dave1947 from Quality but no size markings! They look great, but no longer have the length stamped on the pushrod.